Currency risk, or exchange rate risk, refers to the exposure faced by investorsInvesting: A Beginner's GuideCFI's Investing for Beginners guide will teach you the basics of investing and how to get started. Learn about different strategies and techniques for trading, and about the different financial markets that you can invest in. or companies that operate across different countries, in regard to unpredictable gains or losses due to changes in the value of one currency in relation to another currency. This is an important matter for investors, as unexpected movements in currency exchange rates might erode otherwise high returns or even result in losses. 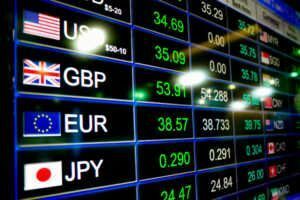 Exchange rate risk can be mitigated by hedging with currency futures, options, or currency hedge funds if they happen to be available for the market the investor is operating in. To decide whether or not hedging currency risk is necessary or worthwhile, a few preliminary questions can be asked. For example, an investor might want to evaluate whether or not the costs of hedging are too high, the holding period required for the hedge investment, and the current risk of a decline in a given currency’s relative value, which in turn might involve assessing interest rate forecasts between countries.